CGC Dredging performs specialist dredging throughout Australia for the mining community, mostly in the area of tailings management. For example, the company has undertaken all of Alcoa’s dredging work in WA for the last 20 years. We have dredged and pumped in excess of 2,000,000m3 of caustic mud to either super thickeners or drying beds in projects performed since 1988. We also conducted a sand / mud separation dredging project of 150,000m3. Since 1986, we have dredged and pumped approximately 750,000m3 of caustic mud to super-thickener and to drying beds. Since 1992, we have dredged and pumped approximately 650,000 m3 of caustic mud to super-thickener and to drying beds. Our first foray into mine tailings; we dredged 40,000 m3 from their silted return water pond. We dredged approx. 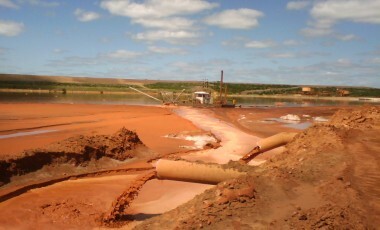 500,000 m3 tailings between ponds and into reclaim tests. We dredged approx. 100,000 m3 tailings between ponds over a distance of 1.5km with 25 metres elevation. A booster pump was used. We dredged approx 30,000m3 slimes from their washing plant settling ponds and pumped them through a booster pump, 1km up-hill into another pit. 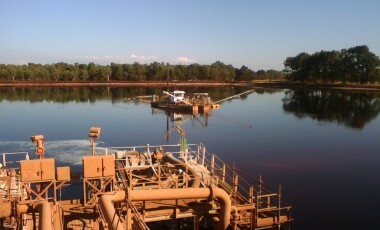 We were awarded a long term contract to dredge sand from a wet pit into a washing plant for production of concrete sand. 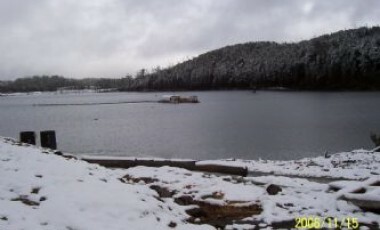 We dredged for 4 months before the site became all rock and no more sand could be found. Incorrect information was provided by the client’s geologist.